Stargazing, telescope observation, astrophotography and revelant astronomy events or news. From astroGC, Gran Canaria, Canary islands. The company Red Electrica de España is planning to build a huge hydraulic power station between the dams of Soria and Chira in Gran Canaria. This is quite near the area where we are going to stargaze at astroGC. 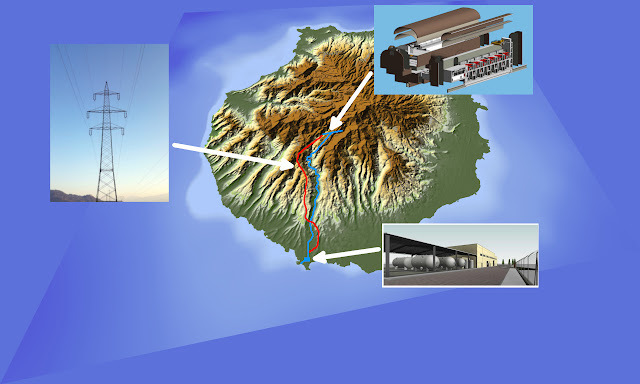 Fortunately the area being protected, the hydraulic power station will be underground. The plan is to pump the water up when the wind turbines are producing more energy than the consumed energy on the island. And recover this energy when needed. During last week, the Starlight monitor training took place in Gran Canaria island. This was aimed to give some basic knowledge about astronomy to whoever would like to show the Gran Canaria night sky being recognized as Starlight monitor. 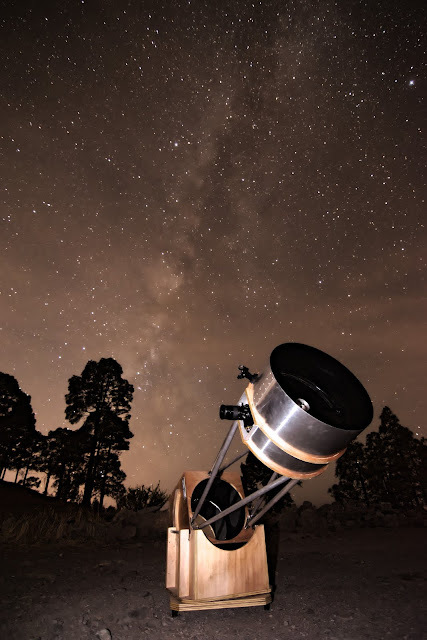 The Starlight organization is a foundation in which are participating some prestigious organizations such as UNESCO, World Organization of Tourism, International Astronomical Union and IAC (Canarian Institute of Astrophysics). 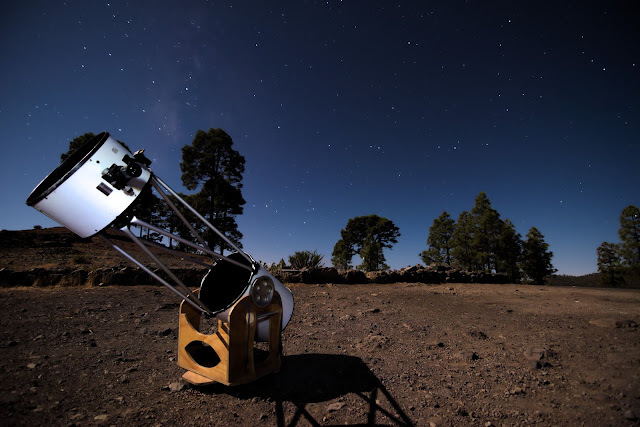 In February 2018, UNESCO declared part of Gran Canaria as a Starlight Destination in recognition of the high quality of its skies for star gazing. The astroGC astronomy workshops always take place in the darkest places of the island, included in the Starlight recognition. astroGC was represented in the monitor training and a temporary certificated has been issued. The moon light faints the stars. If you want a good observation of the mikly way, or take a picture of it, the best is a no moon night. Nevertheless, the moon light when the sky is very clear can also help to take very nice night pictures. This one has been taken the day before yesterday with an almost full moon (90%). The ISO is very low for a night picture. In my experience a high ISO produces noise that cannot be corrected later. The picture has been taken in RAW format. The JPG file has been extracted using RawTherapee. The Milky Way is visible on the picture, up to the left pine tree. The light pollution from Mogan and Puerto Rico does not affect much. The picture has been take at Cruz de San Antonio (Gran Canaria). The telescope is a 16'' reflector dobsonian (handmade base). The 16'' handmade telescope project has been completed successfully. Yesterday night, it has been used for the first time in a conventional workshop at astroGC. This time it worked perfectly. A highlight of the telescope is it's rigidity and precision. We checked the collimation right after mounting it in Cruz de San Antonio (Gran Canaria). The mirrors remained perfectly aligned despite of the route from Maspalomas. And they remained perfectly aligned while moving the telescope from zenith position to the horizon. This does not happen with this kind of telescope available on the market. The rigidity of the structure, along with excellent quality of mirrors and focuser provided fantastic images of planets and deep sky objects. The Hercules globular cluster (M13) appeared very bright, clear and sharp. Most of our guests expressed a "Wow!" exclamation observing this massive cluster of stars.